Supports SuiteCRM / SugarCRM / OutrightCRM Market Your business in highly personalized manner!. It is drip!!. 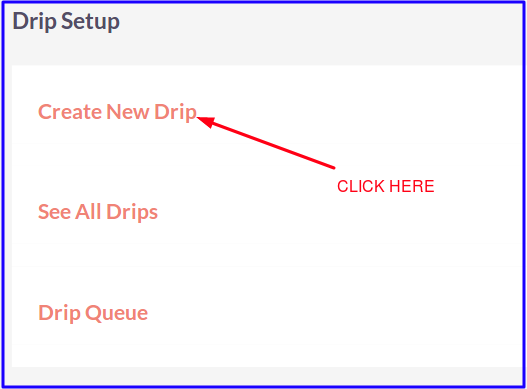 View cart “Drip Campaigns” has been added to your cart. You have heard about Email Campaigns. Daunting Practice! Do you ever think your customer need personal attention? Here is the way. Drip Campaigns!!. Drip Campaigns engages your leads in a highly-personalized manner. Your customers are heart of business, they need personal attention. It takes them according to their preferences and activites. It is about to get rid of same regular message to everyone. It is about to make a choice based emailing , you call it Drip!. It is automated and scheduled like regular campaigns. It gives you choice on a day basis and many more specific rules. 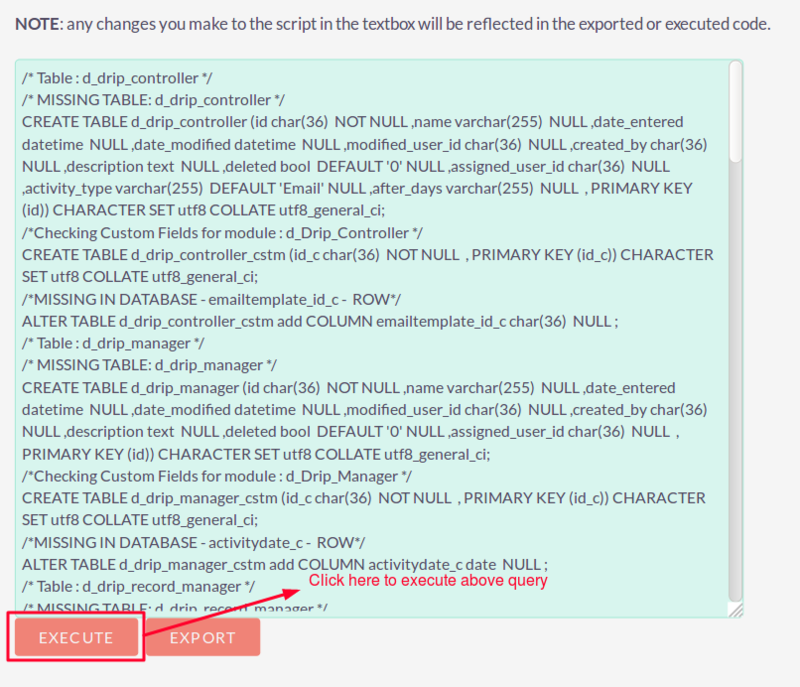 Set different templates for different days. Set rules for different templates. Please follow the below steps before installing the Outright Drip Campaign. Verify the CRM version should be compatible with Outright Drip Campaign. 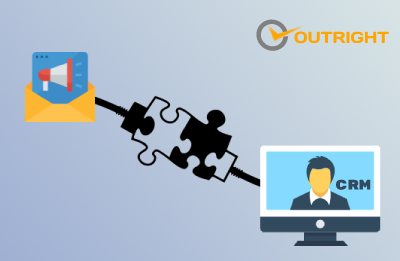 CRM should have the Outright utils file, if not then install the OutrightUtils package first then install the Outright Drip Campaign. 3. Click on “Choose File” button and select the Outright Drip Campaign.zip. 1. 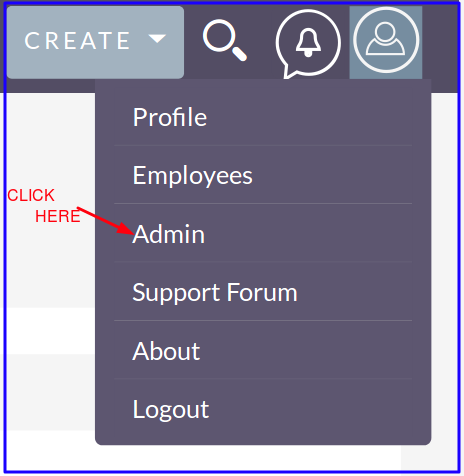 CLICK ON ADMIN SECTION. 3 CREATE A NEW DRIP STEP. 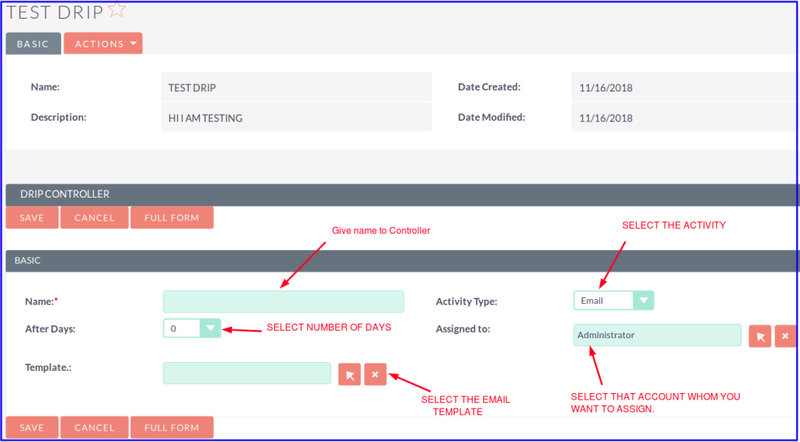 4 CREATE CONTROLLER FOR DRIP MANAGER. 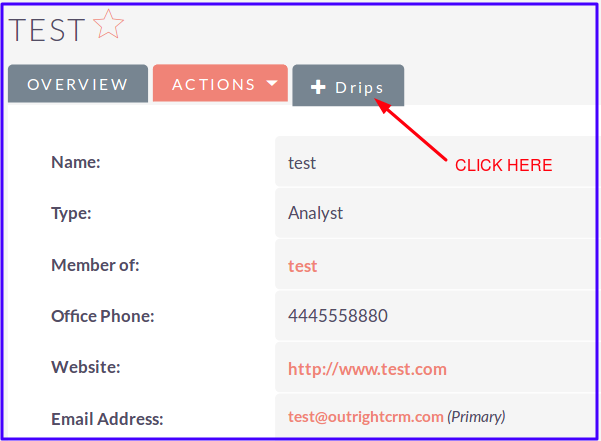 5 CLICK ON THE + DRIP OPTION OF THAT CONTACT/LEAD FOR WHOM YOU WANT TO START CAMPAIGN. 6 AFTER CLICKING ON +DRIP SELECT THE DRIP FROM THE LIST. I got this wonderful Plugin when I was looking to move other CRM like SalesForce. I was looking to start Drip Emails for my customer as traditional Campaign module is too much hectic to use. Fortunately I got this plugin and it Works! Best , 5 Star Product!